There's another one for sale right now for $100 shipped. What's the current market value for original MX Tri-color CC?? Whats my Realforce 23UB i just got worth? 1) How about a used CM Storm Quickfire Rapid w/reds ? What would be a reasonable price for a used G80-2100 HCD? Functioning well. The cherry logo key is missing, but all others are still available. And what would be a reasonable price for a full set of glow in the dark key caps from a Raptor Gaming K1 keyboard? I could swear javifast said he JUST sold you his set of raptor K1 glowcaps... Selling them already? I would take the metal keypuller if you want to sell that. Aha, I see you here too Thanks The_Ed for your helpful information of the glow in dark keys in DT. Yes I bought the set from Javi, including the metal keypuller. But the parcel is still on road and may arrive in a couple of weeks. How much would that be then for the cherry metal keypuller? I've gotten things of similar size and shape for 99cents including shipping from china, so the postage should be dirt cheap. 20€ shipped for 8 glowcaps, 7 keyblockers, and the metal keypuller right? I have 8 new glowcaps and keyblockers coming for 22€ shipped. 20 shipped for 8 golwcaps, 7 keyblockers, and the metal keypuller right? I have 8 new glowcaps and keyblockers coming for 22 shipped. When I send stuff it is cheap within the contiguous 48, but expensive everywhere else. When I receive small stuff from china it is the cheapest of all. 11.2€... I think you got scammed... That's REALLY expensive for such a small amount of stuff. Going by how long it usually takes stuff to arrive I expect my set should be here by the end of next week. Crossing fingers. My vintage keycaps FAR outnumber my boards... (That doesn't include the stuff I have for sale.) I should find another board... Do you know where I can get a NIB G80-3600LYCEU-2? I've wanted one for a long time, so maybe it's time to get one. It was more common in Japan. Try there. Google doesn't translate chinese and japanese very well... The G80-3600LYCEU-2 was the first mechanical keyboard I ever searched for. I was using a shïtty logitech back then before I owned anything mechanical. I gave up on it and bought a shïtty razer blackwidow ultimate... I then went straight to a G80-3494LYCUS-2 with a full ANSI 104 DS set from 99HK. But a part of me still wants that G80-3600LYCEU-2 that has eluded me... I would greatly appreciate it if someone found me a NIB one for a "reasonable" price. Also not sure if this would be the place to ask but tradability, possible for me to get a straight trade for a Majestouch-1(or 2 +cash) TKL with browns? It will be hard to get more than somewhere around $85 shipped or so for a Majestouch-1 with MX blacks. No one here really likes those switches much, it seems. I guess the two of you might work something out then. I've seen new condition Majestouch-2 with MX blacks scoffed at for $110 shipped. Unfortunate, but thanks for the quick reply and information! How much is a nyan cat backspace worth? What's a non-functional HHKB Pro 2 worth? 4 years old, gray/lettered, key caps look decent, minor shine on spacebar bottom edge. No idea why it doesn't work, tested with known-working hhkb pro 2 cable and computer doesn't detect. Devices plugged into keyboard aren't detected either. ^ It can be fix check this out http://geekhack.org/index.php?topic=12047.0. Are you using in on windows or linux OS? Linux. Thanks for the link, looks fairly non-trivial - have you tried this? Before I head down that road, I need to ascertain the value in it's current condition. Any estimates on a KB-5591? Thanks for any info. Awesome - I will check into it. Was there a reason you asked about OS? If you still not been able to see your keyboard, I guess something in the electronics is bad. P.S Some guys made the tenssy modification already, it may be possible that they may consider selling the hhkb controller. OK, cool. I had tried some linux utils to no avail - I ran watch dmesg, and with my working hhkb, I see the entry, but with the broken one, nothing. I tried two cables, two computers and nothing. My other hhkb works fine, plugin the broken one, and nothing. I'll most likely try hasu's code with teensy (or teensy++) though my soldering skills are weak, I installed the teensy plugin for the arduino ide. What's a fair price for a busted hhkb pro 2 ~4 years old? Did you try to resolder the USB connector? Mine started causing problems after 3 or 4 years. It started to drop connection if I move around the keyboard. I fixed it by touching the solder joint of the usb connector with hot iron and the problems went away. The mini-usb connectors in general are not that strong, so it could be that the connector is broken. If the board is working again, I would value it around $150~180. That is how much I would want if I sold mine. If it cannot be fixed, probably $50~100? There is a lot of uncertainty as to what is wrong with the busted HHKB. If replacing the controller is going to fix the problem, then $100 seems to be fair given that condition of the caps are great shape. ANSI Layout, perfectly working, but a few "strokes" (not sure if that's what I really mean, will post pictures of those) on it. 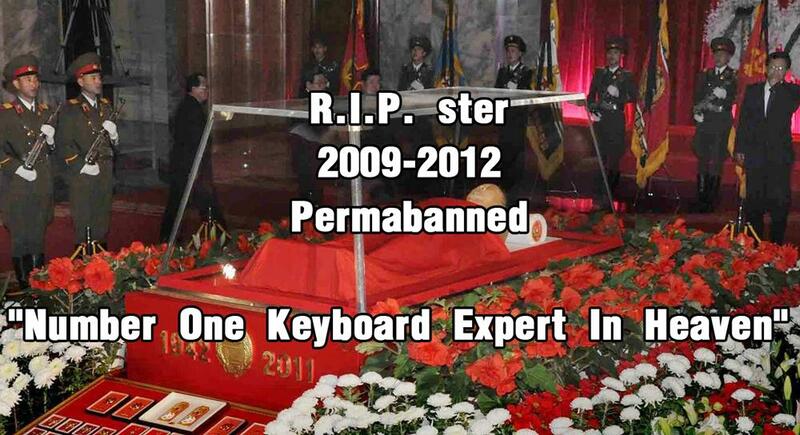 Otherwise, the keyboard is in pretty good shape. No box. # Leopold FC200R, MX Red, perfect shape and perfectly working. No keycap or a set of Black Filco keycaps, with a Ctrl key quite "erased". With box. 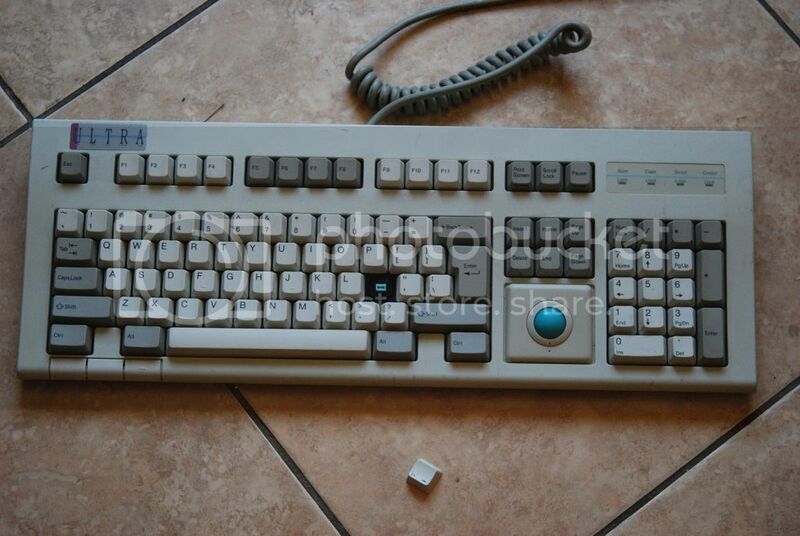 # Maybe RealForce 91-UBK, perfect shape and perfectly working. Variable one. Full set of black keycaps, maybe a CC 3D with it. No box. Thanks for the advice. I'll try heating up the solder joints as suggested, although I'm looking forward to trying the teensy replacement controller as well. how much would a topre click clack with 3d glasses that hasn't been used be worth? Can't put a value on art.. I think if you have top hot and monocle you may put a value on art. And probably have to be sipping champagne whilst saying "mmmmindeeeed". who will be our resident keyboardart snob? 1) IBM Model F XT....converted to USB via Teensy 2.0 adapter installed internally and Soarer's converter code. The key layout has been slightly changed (added a long left shift to try and approximate a more ANSI layout). I can change the layout back to the original F XT layout if the purchaser so desires (but why would you want to do that ). The keyboard is in very good condition and has been thoroughly cleaned. The only damage is to one of the extendable keyboard legs which has cracked. I used epoxy glue to prevent the crack from spreading. The leg extends and retracts without problem and supports the keyboard and typist's weight as originally designed. 2) Siig Minitouch (white xm switches). This was bought BNIB and has been typed on for approximately one hour. It's in immaculate condition with the only damage being a very slight brown stain on the cord. 3) Broken Siig Minitouch (monterey blue switches). I completely destroyed 3 switches on this keyboard. I am willing to part this keyboard out or sell it whole. Eitherway, the monterey blue switches feel a little off and can use some contact cleaner (e.g. DeOxit, etc.). Both sides of the keyboard chasis, the keyboard cord, and all keycaps are present. 4) Unicomp 101 (buckling spring). This is a model from 2001 which uses a PS/2 cable. 2 of the function row springs are damaged (I believe it's F5 and F12)...those 2 keys do not click but do actuate when pressed. I can include replacement springs for those 2 keys if the purchaser so desires. I am missing all the keycaps that are not present in the below photos. i've got a Leading Edge Model D with blue alps. Any ideas? how much are CCnG base + tsangan sets going for? Think I paid about $50 for a base-set around a month ago. Not sure how much a tsangan would be though. I paid a bit more than 50 for my CCnG base kit. That's because nobody was selling at the time. I'd say 50 would be a great price but 60 is fair enough. the group buy had over 200 orders, they were like 50 bucks i believe. maybe closer to 60 but in that range for sure.